Who Are We and What Do We Do?Camping In Ontario is the representative body of privately owned and operated campgrounds in the province of Ontario. The Camping In Ontario team works on behalf of the campground members by lobbying government on issues that will affect their business, negotiating cost savings on the products and services they use every day, and marketing camping in Ontario. Campground ReservationsPlease contact the campground directly for reservations or visit http://www.campontario.ca. Contact information for the campground is located at the top of the Campground information listing. Click here for Camping In Ontario's Online Reservation System. Connect with us on Facebook, Twitter, Instagram, Pinterest and Google+. 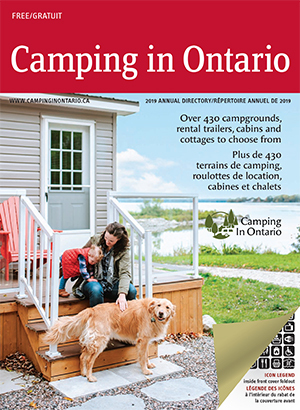 To subscribe to receive Camping In Ontario - Campers' News, please click here.